STEAM education adds arts + design (A) to the traditional science, technology, engineering, and mathematics (STEM) disciplines. > Identifying design thinking and creativity acknowledge the important role of art + design in innovative solutions to problems and the development of new ideas. > Including arts + design within STEM provides additional ways of perceiving, interacting, and understanding the world. > Combining the freethinking and flexible processes of creativity with the structural frameworks of critical thinking adds valuable skills for exploration and discovery. The Newport, Rhode Island based Navy Starship Poseidon STEM program, with the support of the Office of Naval Re-search and Naval War College, is offering a Summer STEM Camp for students. High school students are invited to participate in a week-long in-residence summer camp designed to provide insight into career opportunities in the Science, Technology, Engineering, and Math (STEM) fields of study. Throughout the week, attendees participate in hands-on projects that require creative thinking and teamwork. They will also participate in visits to see and talk with STEM professionals from industry, education and the military. Initial deadline for applications is March 15th. 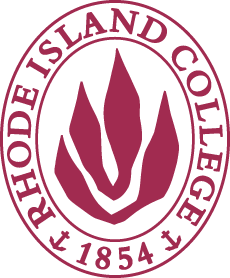 Learn more about becoming a sponsor of the Rhode Island STEM Center by visiting our Become a Sponsor page.